An “Actively discussed on Google+” feature is popping up on Google SERPs. The notation shows up when a particular link or topic generating substantial buzz on the social network appears in results. The move further demonstrates the value of social media marketing with Google+, given the continued growth of the network within other Google products. The Actively discussed information appears below a link’s description on the SERP. Additionally, a “Show” button allows users to see the conversation surrounding the link or website directly on the SERP. A “Hide” button can also be clicked to then minimize the content. 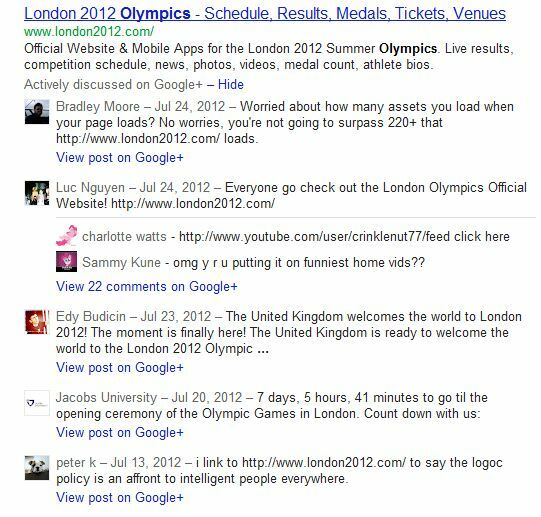 Since Google+’s launch in June 2011, marketers have anticipated aggressive integration between search and the company’s social platform. The Actively discussed tool comes shortly after the roll out of a Share feature that allows Google users to post links they see on their SERPs directly to their Google+ accounts. While Google continues to search for new ways to drive users to Google+, it appears to be keeping those using the site happier. 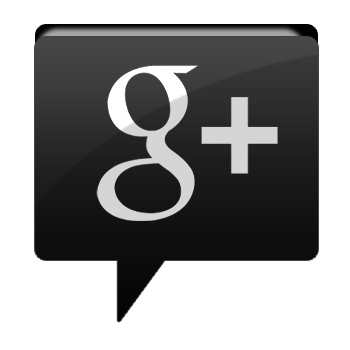 Brafton recently highlighted a report from the American Consumer Satisfaction Index that found Google+ users were happier than account holders for any other social network. 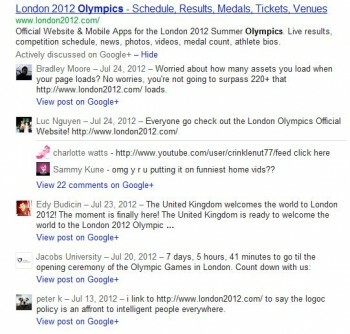 According to the study, Google+ received a score of 78, while Facebook users pegged their satisfaction at 62.